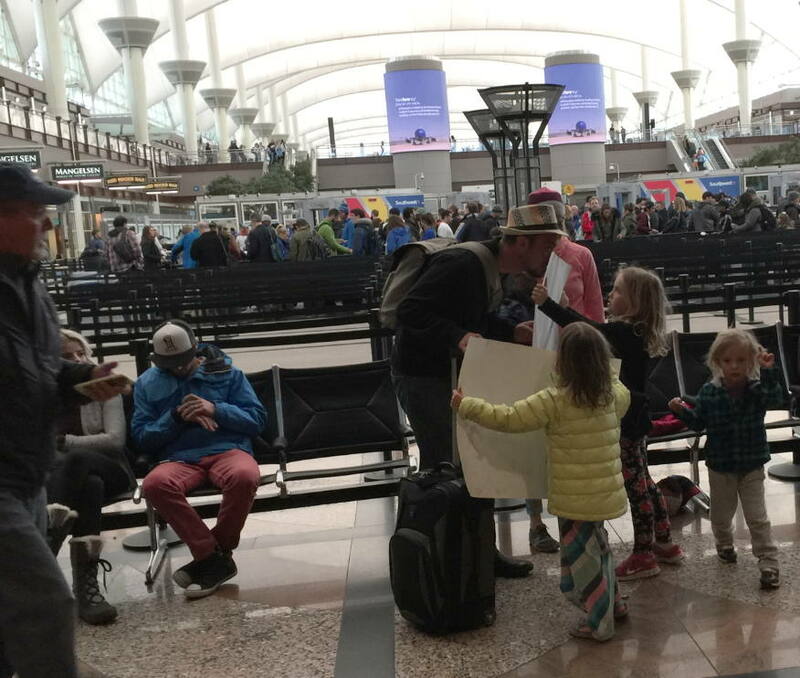 Home > Photos > Unpermitted signs at Denver Internat’l Airport. Kids get away with everything. 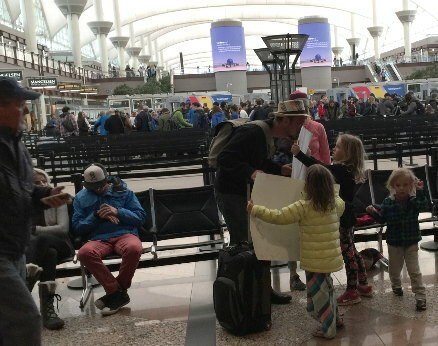 DIA, COLORADO- While we shuffled around the International Arrivals reception area trying to abide by the sign restrictions placed on our airport free speech permit, these children brazenly unfurled totally unvetted posters they’d prepared to welcome their daddy’s return from Mexico.